Stephen Foster is a drummer whose musical style and versatility has enabled him to play in combos or large groups. 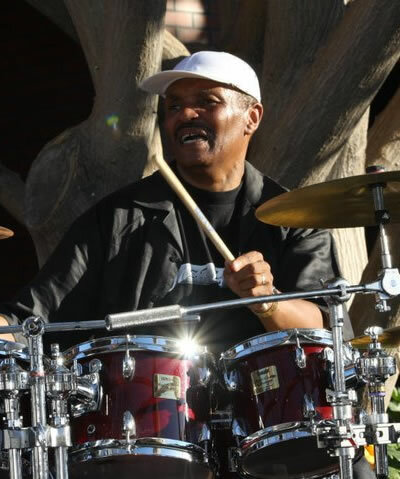 As a supportive sideman, he has worked playing Jazz, R&B, Latin, Blues, Fusion, Smooth or Be-Bop Jazz bandleaders. His songwriting and production skills are featured on a CD produced for a band called Second Wind entitled "Secret of Forever" It was released on the Positone label and featured legendary guitarist Phil Upchurch and singer songwriter Linda Lee. Stephen is also featured on many of the JAZZ ZONE worldwide cable access TV show series hosted by Roscoe Lee Owens. (see www.jazzzone.net). He also was the Drummer for the long running hit Musical "Smokey Joe's Cafe" based on the songs of hit writing team Jerry Leiber and Mike Stoller. Therefore no matter what type of music your playing, you can just count it off.... when you have STEPHEN FOSTER on drums and keeping the pocket!